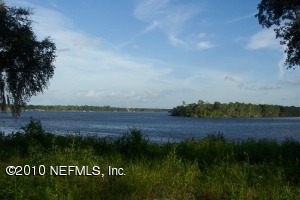 17+/- acres on the St Johns River with approx 986' of total riverfront uplands. Great homesite or sub-divide into multiple lots. This property is very unique and private. One of a kind location for this area. The view is breathtaking and the property is loaded with large mature fruit trees, oak trees and pines. Homesite location is cleared. The property has been platted for 3 homesites. The property has wetlands but the uplands are absolutely beautiful. There is a dock but is in need of some repair. Owner financing may be available for a qualified buyer. You will not be disappointed in the beauty of this property. This property location is for the forever home or the investor. 1.10 +/- riverfront acres with a high bluff, zoned C-2. Located in Putnam County's highest traffic area on a 4-lane highway. 170 +/- ft of hwy frontage & 140 +/- ft on river frontage. Central water stubbed to property. Building & slab have been removed, while the parking lot & drive are still in place. One of a kind property. This Property is rare and unique! 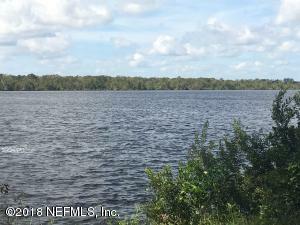 6.6+- acres on the St. John's river. Park like setting. Partially cleared. Ready to build your dream riverfront home, private estate, or family compound. Beautiful canal coming up through part of the property. Artesian well on property. Less than 15 miles from St. Augustine, Less than 8 miles from Palatka. Here is your opportunity to get a large piece of riverfront property at an affordable price! This has been a family getaway for many years. There is a small 3 BD, 2BA cabin on the property as well as a separate garage. The property is mostly forested but the properties on either side are zoned for horses. 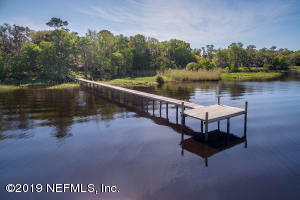 There is a dock which is in good condition and there are outstanding wide views of the St. Johns river. Your imagination is the limit with this beautiful property so come see the possibilities for yourself! Development Opportunity! 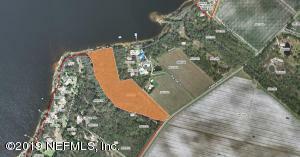 2.30 acres of land, zoned C-2, strategically located on the west side of Hwy 17 in East Palatka. This corner parcel consists of 2.30 acres with an estimated 172 +/- feet of frontage along Highway 17 South by 398 feet of depth on the north side. 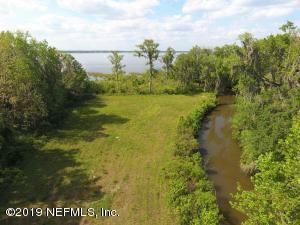 The rear boundary of the property borders the St. Johns River and has 180+/- feet of width, subject to survey. 2017 AADT shows 18,368 vehicles per day. Surrounding uses include professional office, neighborhood and national retail including CVS, Dollar General and Advanced Auto, service-oriented commercial, professional office and hospitality developments. 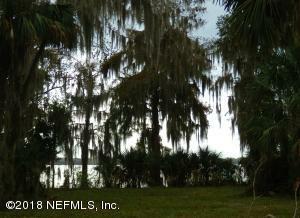 This riverfront property over looks the St. Johns River and Stokes Island. Your dream home ''away from it all'' could be here. With more than two acres, wildlife abound, citrus trees and other mature trees, this a beautiful spot to enjoy Florida sun or shade. Enjoy your privacy while having close access to downtown Palatka, Gainesville and St. Augustine are less than an hour away. A terrific place to call home or utilize as a weekend escape.Don't forget the fishing poles! Putnam County is known for bass fishing. Nature lover? The William Bartram trails run through both the waterways and the riverbanks here. This location puts you in the middle of it all. 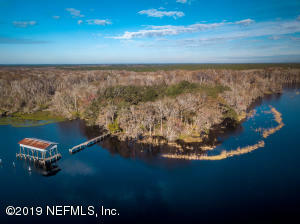 A rare find...Pristine acreage on the St Johns River! This ''Old Florida'' property consists of approx. 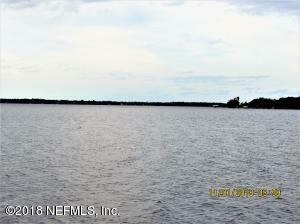 12.5+/- acres with 440' frontage on the water. Build your dream home among the mighty oaks, magnolias, and wild orange trees. Enjoy the peaceful serenity of this private oasis. Located on a wide section of the river offering expansive views and amazing sunsets. Zoned Ag Estates, so bring your horses! 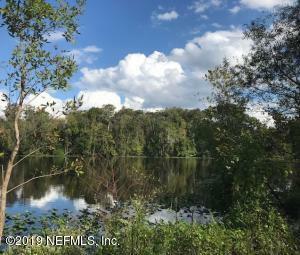 Beautiful Riverfront Property 8.26 +/- acres in this well sought after Historic Federal Point area. This property is partially cleared and offers a beautiful riverfront view and a cleared area ready for your new estate home to be built. 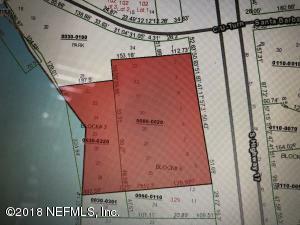 Privacy ,nature and serenity abounds on this spacial partial with Pen Branch Creek to the border of the property.This is a fantastic location a quick drive to St Augustine ,Palatka, I95 , Jacksonville & Palm Coast.Property currently zoned AE allows Horses and other uses.This is a rare and a must see property and price to sell !